Up until July 7, 1928, only a few people in the world wanted to purchase sliced bread. Everyone knew that once you sliced bread, it would dry out within a few hours. Despite the fact that very few people wanted to purchase sliced bread, Otto Rohwedder devoted 16 years of his life to invent the automatic bread slicer. Otto knew that people would want to purchase sliced bread if he could develop a way to keep the bread from drying out. To solve this problem, he not only invented the automatic bread-slicing machine, but the machine also included a wrapping system that would keep the sliced bread fresh. 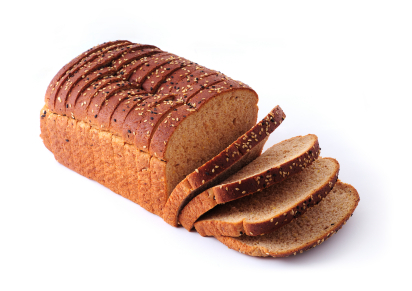 By 1933, for the first time in history, American bakeries produced more sliced than unsliced bread loaves. When Apple released the iPod, very few people wanted it. After all, who wants (or needs) to carry 1,000 songs around in their pocket? I don’t think I need to tell you that the iPod has been extremely popular, and profitable, for Apple. In early 2004, a college student launched a website that would allow his classmates to connect and communicate with each other via the Internet. At the time, only a handful of people wanted to socially interact with others via the Internet. Yep, you guessed it… the college student was Mark Zuckerberg, and the website he created was called Thefacebook.com. You may know it by its new name – Facebook. Back in 2004, Google, Yahoo, AOL, and Ask were all extremely popular. If Mark had been smart, he would have invested his time into building a new search engine; after all, that’s what everyone wanted. Only kidding! With a value of around $50 billion, I think you’d agree he made a smart decision. The key difference was that Mark focused not on what people wanted, but instead on what people WILL want. So, enough about sliced bread, iPods, and social networks… let’s talk about your business. Are you tired of your business being ordinary and blending in with all your competitors? There are five specific lessons we can learn and apply from the examples above. 1. Tune out the noise – To get to the heart of your customers’ true needs and problems, you have to learn to ignore all the noise they are making. Your customers are busy complaining about their current problems… and it’s your job to learn to tune this out. I’m not saying that you shouldn’t listen to your customers’ needs and problems. What I’m saying is that you need to ignore the words they are saying and listen for their underlying problems and desires. Otto Rohwedder, Steve Jobs and Mark Zuckerberg all chose to ignore the noise and find the underlying problems and desires. 2. Take the risk – Once you’ve identified the underlying problem and desire, now it’s time to offer a solution and risk failure. Anytime you launch something new, particularly something that people really don’t want, there’s a chance for failure. Apple’s first attempt at a PDA (personal digital assistant) was a failure. But it also provided a platform of experience they could build on when launching the iPad. 3. Stay in the game – There will be setbacks and failures while creating what people WILL want, but the important thing is to stay in the game. Otto Rohwedder spent 16 years of his life trying to build his automatic bread slicer. He experienced countless failures during those 16 years, but he never quit the game. 4. Ignore the critics – The minute you decide to ignore what people want and focus on what people WILL want, the critics will flock to you. Don’t be alarmed. The arrival of critics usually means you’re working on things that matter, things that will make a difference. 5. Shout from the rooftops – Once you’ve created the thing people WILL want, it’s now time to let the world know about it. You’ve got to have a strategy to market your new product or service to the world. What is the underlying problem, or need, that my product or service fulfills? What is the biggest challenge facing my clients? What are the current solutions to this challenge? What would be the perfect solution? What would be required to provide this ideal solution? How can/will I market this solution? So, let me ask… what WILL your customers want? What will be the next “big thing”? I discovered your blog post site on yahoo and checked many of your posts. Amazing stuff. Thanks. I’m going to FB Connect and Rt.